When I first came here almost two years ago, I wasn’t able to find any deodorant at the biggest supermarket chain in Korea. My husband didn’t even know what it was! Apparently, Koreans don’t need the product since most of them don’t have apocrine glands. My husband doesn’t have any body odor (lucky for me, he doesn’t even have “kimchi breath”). I remember my father (who’s half-Chinese) also didn’t have a weird smell. Anyway, I also don’t have a strong body odor but I guess it’s better to be on the safe side. 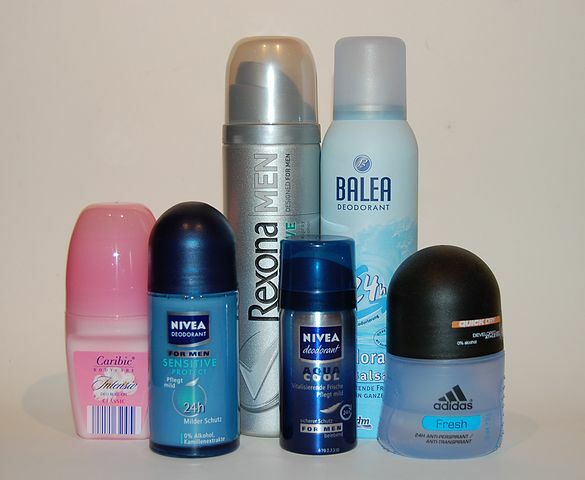 Now, big chain stores like E-mart, Walmart and Carrefour carry deodorants. They are so expensive, though. A small bottle of Nivea roll-on is about 5,000 KRW ($5). Luckily, I brought a few during my last trip and I only use one during the summer. And it’s because it’s so humid and hot that I sweat easily. Let this entry serve as a reminder for people who wants to go to Korea to not forget to bring a deodorant. Just to be sure that they’ll have one handy just in case they’ll need it. Even if you can find deodorants in big supermarket chains, it’s not really available anywhere–like in your neighborhood “su-peo”:).